Mutual funds in India can be bifurcated into different categories in India. One such popular category is Balanced Funds. 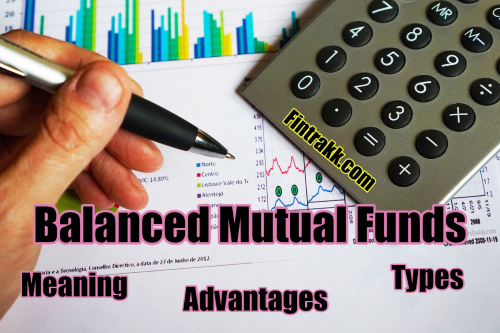 So, here you shall come to know the Balanced funds meaning, types, advantages of investing in these mutual funds. You shall also learn the balance funds taxation rules and be well versed with important investment details. Balanced Funds are the category of mutual funds which invests all its asset in a mix of equity and debt. The fund is also known as the Hybrid fund. The fund is designed to provide investors safety from volatility, give steady income, and modest capital appreciation. The fund generally follows the investment objective closely on investment types. This fund type invests 65-80% in equity and rest in debt securities. The equity portfolio of the fund is invested in multi-cap, large caps or mid cap stocks according to the investment objective of the fund. It keeps its majority of the holdings in Debt securities in the range of 65-80%. And the rest of equity and cash components. The fund is suitable for investors with a conservative approach. Balanced funds have the benefit of both asset classes and are most suited for 3-6 years investment horizon. The fund balances the gap between riskier equity segment and safer debt segment. Investment in balanced funds is most suitable for first-time investors and for those investors who want to have returns like equity fund but don’t have the risk appetite. It gives a superior risk-adjusted return to investors. Now, let’s have a look at some of the advantages and disadvantages of investing in Balanced Mutual Funds. Diversification: The fund offers its investor a diversified nature of investment across equity and debt securities. It helps the fund manager to manage risk much more efficiently. Steady Income: Debt securities from the fund generates interest income and is not affected by volatility in the market. Due to its balanced asset base, the fund’s return is more stable than equity funds. Low Risk: Due to the fund’s mix of debt and equity, the risk factors are greatly reduced and has less effect on volatility in the fund compared to equity fund. As the portfolio of balanced fund has 65-80% exposure in equity, it can effect the return of the fund during market downturn. Investors need to study the both equity and bond market performance to keep track of investment. Due to the rebalancing of the portfolio during bull and bear phase of the market, it can increase the expense ratio of the fund which can effect the return. Balanced Funds are treated as equity funds if the funds have more than 65% exposure in equity. As per amendment in Budget 2018: Tax obligation for the investment in the equity-oriented balanced fund for the period of more than 1 year has been changed. The Long term capital gains (LTCG) on equity oriented funds that were exempt from tax earlier are now taxable subject to certain conditions. LTCG in excess of Rs.1 lakh shall be taxed @10% without giving the benefit of indexation. For investments that are redeemed within 1 year of purchase, the gains are regarded as short term capital gain and taxed @15%. Taxation for the debt-oriented balanced fund is done as per debt funds. Investment period of less than 3 yrs is treated as short term duration and gains are taxed at 10%. Investment period of more than 3 yrs, (long term duration) it taxed at 20% including the benefit of indexation. Note: These are just relevant examples of balanced funds to explain in detail on this topic. It should not be considered as investment advice. A Balanced fund is best suited for investors with low to medium risk appetite. Hence, balanced funds are suitable for investors to meet their medium to long-term financial goals. While choosing a good mutual fund , should check the fund’s the past performance and its benchmark return before investment. Balanced Funds may perform even better than Large cap equity funds and also NIFTY over the long term. Remember, Mutual Funds are subject to market risk. After all, its your hard earned money, so just be careful before investing it especially in riskier assets. What is your investment choice? Do you prefer investing in balanced mutual funds or you are satisfied with traditional investments like Fixed deposits and gold. Do share your feedback in the comments section. « How to Build an Investment Portfolio to Grab Maximum Profits?